Ascension is one of the most important things we can do as human beings. What is ascension, you ask? Ascension is the conscious path of raising your vibration and embodying a higher state of consciousness and expanded awareness. In other words, ascension is a total transformation. To ascend is to realign with Divine Love with awareness at an expanded level of consciousness. 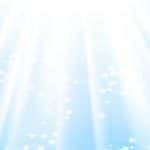 In ascension, we’re also transitioning from being more carbon based beings to crystalline beings, and drinking crystal charged water is one way to support your physical body and also your energy body in making this transition. Crystal charged water can help to promote overall well-being and raise your vibration. In this blog post, you’re going to learn a super simple way to make crystalline water at home. There are only 3 steps, and they’re really easy! 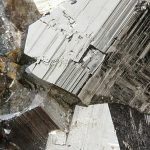 Make Crystal Charged Water at Home With 3 Simple Steps! First, you need a glass or a jar to hold your water in. I do highly recommend glass because you’re going to be setting it out in the sunshine, and plastic is known to leach chemicals. Glass will help your water to retain the highest state of purity. Fill your jar or glass with some filtered, purified water and then just find a place outdoors in the sunshine where you can set it. Sunlight carries the crystalline codes of consciousness, the ascension codes and codes of awakening. When we are out in the sunlight, we’re receiving these positive energies. When you set your water out in the sunlight, it receives positive vibrations and energies from the sun as well. The water doesn’t have to be in direct sunshine, because even when it’s super cloudy, sunlight still reaches the earth. Now we’re going to charge the water with crystals. If you think about water in its most natural form, it’s flowing over rocks through a creek. Or it’s deep in the earth, ready to sprout to the surface in a spring. The point is, in nature, water is surrounded by the sacred geometric forms of mother earth. And yet, we humans flow water through pipes and run it through sanitation and filtration systems. By the time water comes out of your tap, its molecular structure has changed away from its sacred geometric form. You can look into Dr. Masaru Emoto’s work for more about the crystalline structure of water. His photography of water crystals is truly beautiful. To restore water to its sacred geometry, we’re going to use sunlight, the properties of crystals, and also our intentions to raise the vibration of water. 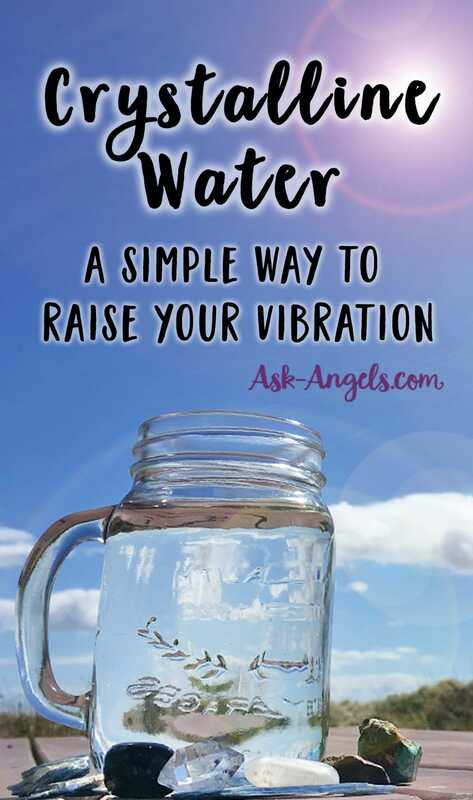 That way, when you drink this water, your vibration raises as well. Before you use crystals to charge your water, it's important to cleanse and charge the crystals themselves! Learn more about how to cleanse and charge your healing crystals here. Selenite *This is specifically meant to be placed AROUND your water, not in it as Selenite dissolves in water. If you don’t have these specific crystals, don’t worry – the beauty of this process is that you can use whatever crystals you have handy, and they’ll still give you benefits! With that being said, what do each of these crystals I listed do? Selenite is closely connected to the Angelic realm, has a high vibration and transmutes lower vibrations and negativity back into light and love. Shungite is known to purify water – it dispels negativity and it’s powerfully protective. Kyanite is a high vibrational stone that heightens your psychic abilities. It’s protective, it’s a stone of ascension, it helps you connect with your Angels, and it opens your divine communication channels. Clear quartz is the stone of crystalline energy vibration. It brings this crystalline energy into your bloodstream and into your every cell, raising your vibration and bringing well-being to your physical body. Rose Quartz is a stone of unconditional love. Citrine is a stone of abundance, and golden ascension energies. Turquoise is a bridge between worlds helping you to access your higher spiritual self and the divine vibrations of love. Herkimer diamond is an incredible bringer of light to help you tune into your most vibrant light and shine with clarity and illumination. Red Jasper is a great grounding stone. It’s also a stone of sacred ceremony and tuning into the sacred and spiritual in every moment. Once you’ve placed your crystals around your jar of water, it’s time to add your intentions. First, imagine the entire jar or glass of water and the crystals being surrounded by light. Please infuse this water with the crystalline properties of light and divine presence. 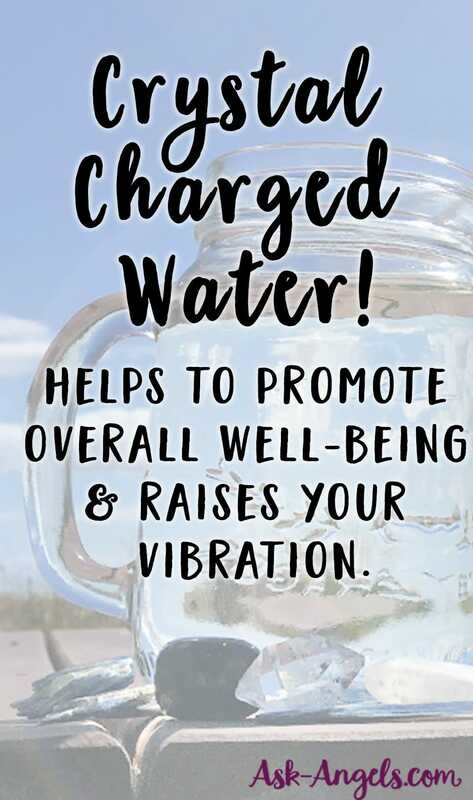 Help the water to absorb sunlight, restoring its divine blueprint and its highest vibrational state, so that when I drink it, my vibration is raised. You then just set your jugs surrounded by crystals out in the direct sunlight for 4 to 6 hours. You can leave them out for longer if you’d like. If you don’t have very much time, even setting your water out for 20 minutes will help to raise its vibration. Adding some herbal tea into your crystalline water is a fun and tasty way to raise your vibration. For example, I like to make a crystalline lemon balm tea that’s set out for about 12 hours with the crystals I listed above around it. When you’re done, you can put the tea in the refrigerator to cool and then anytime you want, you just pour yourself a glass. I’m very sensitive to energies and when I drink this tea, I feel this instant charge of energy, of restoration through my entire body. Plus, the tea tastes delicious! The water actually feels smoother to me once I charge it with the crystals. That’s how you make crystalline water and crystalline tea. Give this a try and then comment below and let me know how it works for you. Thanks for your info there’s lots of useful tips on your website. I tried the crystalline water yesterday and left a clear glass jug with 4 clear quartz points pointing at it which were cleansed and charged with the intention as you stated above. This evening, when me and my partner drank the water, we noticed it has a slight powdery-ness to it, which was at the top of the glass, also there was a very faint yellowness to my water, and a slightly powdery taste! Maybe i didnt cleanse the crystals enough beforehand. Maybe this is a good thing and that powdery ness is good? Maybe we have been drinking polluted water for so long that we dont know what cleansed water tastes like. Or is it deposits of bad stuff like flouride that have been separated from the water? We just dont know! What do you think? Is it good to drink this? Or not? Can you leave the crystals on top of the jar or only around it? How often are you supposed to drink , crystal water?